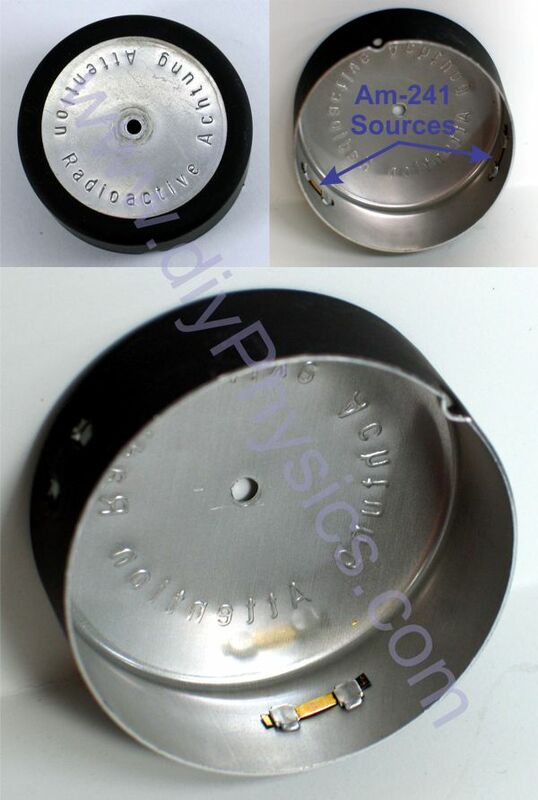 Each Pyrotronics F3/5A contains three sources. One is mounted on a mast attached to the detector’s top cap, and two others are within the ionization chamber. The mast-mounted source is a thin ribbon that has been welded to the shaft of a mast. The shaft has a center screw that rises/lowers a shielding cap over the source. 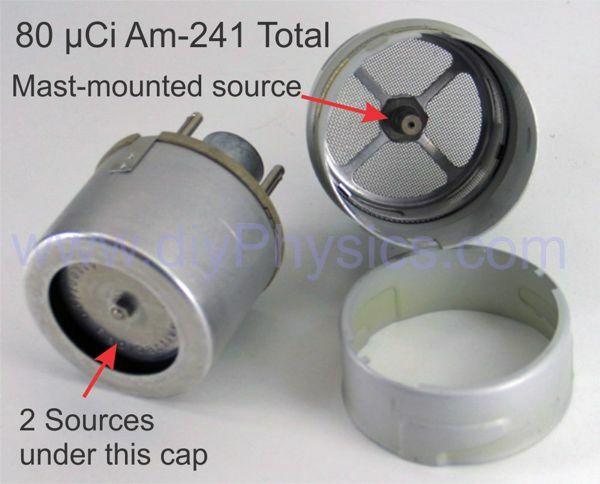 The two other Am-241 sources are found inside the cap of the ionization chamber. Please note that I do not suggest or recommend that anyone open or attempt to extract the Am-241 sources from these smoke detectors. 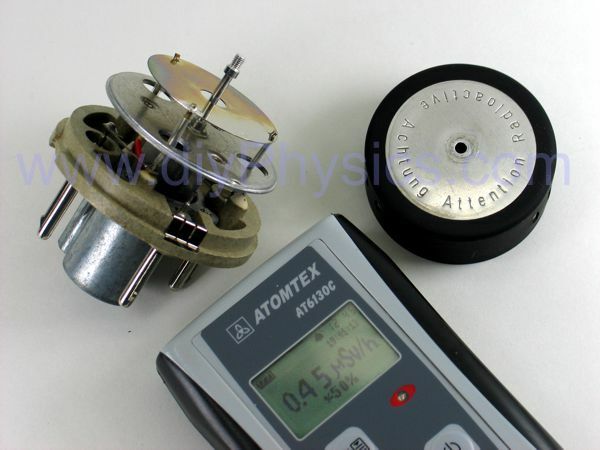 These detectors pose a very real contamination hazard since the sources have been shown to leak, and are so best left unopened and placed inside a zippered bag until properly decommissioned in accordance to the law. 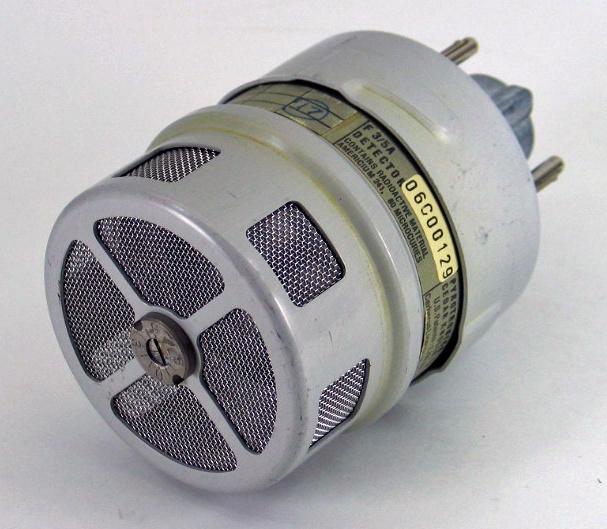 The intention of this post is to show how relatively strong Am-241 sources were used in early 1970s devices – a time when there was a more lenient attitude towards radioactive substances. If you find a radioactive source or material that needs to be decommissioned, please contact the Nuclear Regulatory Commission for guidance. For an especially dangerous source, their emergency hotline is 301-816-5100.